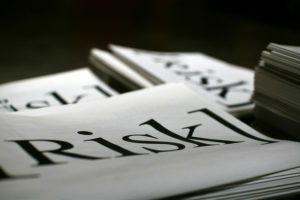 Conducting a systematic risk assessment reveals the hazards in a work environment. As an employer, it can help you determine if you have done enough in implementing safety measures to protect your workers. Risk assessments are an organized method of evaluating risks in a workplace and ensuring preventive measures are taken in order to protect your workers. The Occupational Health and Safety Regulation states risk assessment requirements for companies in B.C. For small organizations, you can choose to carry out the risk assessment yourself as long as you’re certain that it will be done properly. However, for larger organizations, you might want to involve a health and safety representative to ensure that the assessment is correctly performed. The risk assessment must be done for each of your work locations, as hazards may vary from place to place. Regularly review the completed risk assessment to ensure its efficiency, especially when introducing new elements in the work process. Update risk assessments at least once a year. The best way to control the risk is to identify which group of people might be harmed. According to the OHS regulation, there are different requirements for certain groups such as new, temporary or isolated workers. Ensure that training and other information is also given to people who are often absent in the workplace (such as maintenance and field workers). Consider how people outside your workforce can be affected by hazards in your work environment. Another factor in risk assessment is determining the degree of hazard that workers are exposed to. Rating the risks as high, medium or low can help you figure out which risks should be more urgently attended to. Record the accumulated data from the risk assessment in order to effectively control the risks in the work environment. It doesn’t need to be a complex report. Just make sure that it includes the hazards, list of groups who might be harmed, and measures taken to contain the risks.